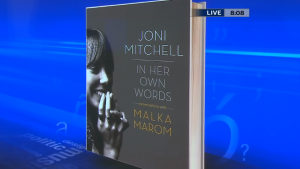 WHEN SINGER, MUSICIAN, and broadcast journalist Malka Marom had the opportunity to interview Joni Mitchell in 1973, she was eager to reconnect with the performer she’d first met late one night in 1966 at a Yorkville coffeehouse. More conversations followed over the next four decades of friendship, and it was only after Joni and Malka completed their most recent recorded interview, in 2012, that Malka discovered the heart of their discussions: the creative process. 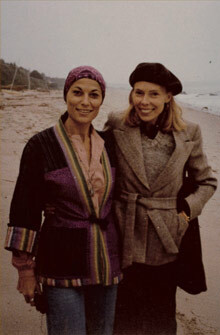 In Joni Mitchell: In Her Own Words, Joni and Malka follow this thread through seven decades of life and art, discussing the influence of Joni’s childhood, love and loss, playing dives and huge festivals, acclaim and criticism, poverty and affluence, glamorous triumphs and tragic mistakes . . . This riveting narrative, told in interviews, lyrics, paintings, and photographs, is shared in the hope of illuminating a timeless body of work and inspiring others. There’s a wonderful moment in Joni Mitchell In Her Own Words: Conversations With Malka Marom in which both Marom and Mitchell exchange amusing stories of Leonard Cohen, and meeting his Buddhist master, Roshi. As they banter about him and his not-so-honorable intentions, the reader feels like a guest at a first-rate dinner party, listening to incredible people tell fascinating tales about other incredible people. That is what makes this new book about Joni Mitchell so special: not the gossip, but the relationship between these two women. Marom is a remarkable woman herself; she began her career as a folksinger as part of the duo Malka & Joso and has since become an award-winning documentary filmmaker and radio broadcaster. In fact, her short introduction at the beginning of the book on her own life is fascinating enough to be expanded into a book of its own. She tells the tale of how she first met Mitchell in 1966 during her early days on the Toronto coffeehouse circuit. Because of their long history together, it’s apparent Mitchell is comfortable and relaxed answering Marom’s questions — which comprise the book’s “conversations” — and comes across as warm, intelligent and actually quite modest at times. In fact, the chronology of the interviews is quite effective, as it offers different and interesting perspectives at unique points in Mitchell’s career. 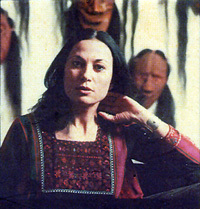 The first was conducted when Mitchell was at the height of her success during the making of Court & Spark in 1973; the second in 1979, when she was in the midst of her more experimental years; and the final and most recent interview from 2012, where she looks back at her life and work with new wisdom. The transcripts of these interviews reveal plenty of amusing tidbits and recollections, particularly concerning Bob Dylan and the aforementioned Cohen. Dylan doesn’t get half the chiding you might expect, although he’s, without a doubt, something of a fallen hero for Mitchell. Cohen is mostly spoken of with affection (and sometimes bewilderment) as both Mitchell and Marom are still good friends with him; Mitchell even mentions having a wonderful time at one of his recent concerts in the 2012 interview. There are also fascinating little glimpses into Mitchell’s everyday life, like her enjoyment of Woody Allen’s Midnight In Paris (“It’s brilliant. It’s got a brilliant conclusion: enjoy the air you’re part of”); her anecdote about turning down $1m to appear for one night in Las Vegas (“That’s stupid integrity, isn’t it?”); her apathy regarding TV talent shows (“The judge’s panel… they like volume… it’s contemporary taste, it’s just not mine”); her views on relationships these days (“I really watch out for any romance at my age. A friendship, yeah… but no romance”); and the fact that, although unimpressed by a lot of modern music, Mitchell really likes Emeli Sandé (“She’s a great new talent, the first one I’ve heard in 20-something years”). Ultimately, though, Marom’s immensely readable book isn’t really about the gossip; it’s about Joni Mitchell’s art. It is, without a doubt, the best book so far about her creative process and her continuing need to innovate and make completely unique music. In her most recent interview, she tells Marom, “I was never addicted to applause… the measure for me was the art itself.” Even her accounts of her youth, her time as an unwed mother alone in Toronto, and her unhappy first marriage to Chuck Mitchell, are told in relation to how they formed her as an artist — and are often quite revealing. Rather nicely, a lot of her artwork is included throughout, along with lyrics from many of her greatest songs. As the women discuss the writing, recording and often-detailed meanings behind the words, referencing the full text makes it easy to understand exactly what they are talking about. Other books about Mitchell have tried to get to the root of her songs in this way, but learning the background and process from Mitchell herself is what makes this book particularly special and insightful, as she, like her songs, is never afraid to open her heart and be truthful. Whether speaking about events in her life that inspired her art, or her opinions about the world (everything from religion to sexism to evils of the music business is covered), or people she’s known, she is always as interesting and brilliant as her songs would suggest. In 1979, Marom asks Mitchell what her goal for her career is. “To make modern American music,” she replies, simply. This book, an absolutely essential read for any Joni Mitchell fan, reveals she has achieved so much more than that as a poet, painter, and musician. But it also makes you wish you could be friends with both Mitchell and Marom, just to listen to them talk some more. Author Malka Marom discusses her 40 year friendship with Joni Mitchell and offers a glimpse into the creative mind of the music legend. fate is in her hands. Charged with this burden, Leora leaves her uneasy exile in Toronto, and ventures to Sinai. gave his life to defend. person, a people, a land. Sulha is one of the most poignant and inspired novels to have emerged from modern Israel’s harrowing yet exultant experience. I read it above all as Poem or the Poem of the desert*If history and politics are present, it is through an individual woman’s obsessive consciousness to come to grips with them, primarily to give meaning to her own life*This is where I see the beauty of [Sulha]. Crucial human questions, passionately addressed, and answered in a spirit of humility, which honours their grave complexities. I rejoice in Marom’s achievement. Malka Marom’s first novel is a monumental work that ranges across 2,000 years of war and bigotry in the Middle East. This spellbinding book is a timely tale that not only encompasses grand themes and lost tribes, it also contains a mother’s love, a widow’s loss, a child’s wonder, and the power of love. In all of this, Marom has created something much more powerful and daring than yet another war novel. She has created an original and unforgettable novel of peace. Malka Marom’s novelistic debut, Sulha, is a splendid hymn to love, dignity, honour and duty. The riveting tale unfolds in the midst of the historic conflict between Arabic- and Hebrew-speaking peoples who disagree upon practically everything but the word sulha (“a forgiveness; a reconciliation; a joining, repairing, making whole that which has been torn asunder — peace?”). To read Sulha’s 566 pages is to undertake a journey that pushes us to see the world through different eyes as events spiral toward what could be a double ritual murder, the pages fly past. Marom powerfully and lyrically evokes a people and a country in the grip of obsession. The heat and chill, smells and sounds, and paradoxes mesmerize. Sulha is Malka Marom’s first novel, but prior to it being published, she was already internationally well known. She began her career as a folksinger as part of the popular duo Malka & Joso, who were the first to bring World Music to Canada. Their recordings with Capitol EMI Records topped the bestsellers lists in Canada. As a soloist, Malka Marom performed on stage, TV and Radio in Canada, the U.S., South American, the UK, Europe and the Middle East. She is also known and respected as a radio broadcaster and documentary maker. Her documentary A Bite of the Big Apple, an 8-hour exploration of the American dream, was an ACTRA Award winner. Among her many other documentaries, Desert Diaries, My Jerusalem, and The Holocaust, won the nomination for the ACTRA Award. 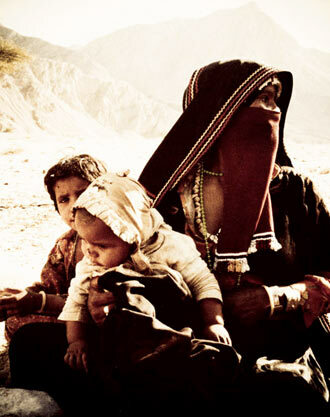 Her documentary The Bedouins won the Ohio State Award. This documentary inspired Malka Marom to study Bedouin Arabic, return to the Sinai, Negev and Judean deserts, where she lived with five different Bedouin clans for months at a time. Marom’s documentaries also explore music and musicians. She has profiled Joni Mitchell, Leonard Cohen among others. Her interview with Pablo Casals was the last Casals ever gave and drew praise from many, including renowned pianist Glenn Gould. Marom’s next book: In Conversation with Joni Mitchell and Leonard Cohen, will be published by ECW Press in 2013. 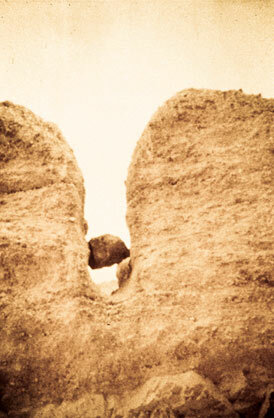 The Bedouins manner of opening their hearts and revealing their secrets—not directly but through, poetry, legends, parables and stories—inspired me to seek out my own stories, legends, parables, poetry and secrets; and to examine not only the consequences of history, but also the possibility of transcending them. While the map to the right reveals how vast is the expanse of Sinai, especially in comparison to the Negev desert and to Israel, it clearly doesn’t indicate the whereabouts of Bedouins (“real” or fictional) since this was the wish of the Bedouin clans who had offered me not only shelter, food and water for days and weeks that turned into months, but also their songs, dances, poems and legends by fire circles burning long into the night. Due to my respect for these Bedouins’ wish, this map indicates only the places that Leora and Tal touched during their journey that offer no clue to the whereabouts of the “forbidden tents”. 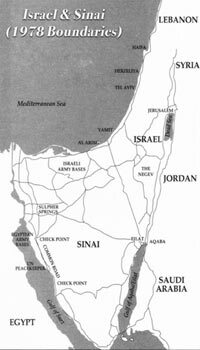 Yet quite a few readers of Sulha’s first trade- paper edition informed me that they figured out the (fictional) location of the (fictional) “forbidden tents” from the grey lines snaking across and around the Sinai and Negev deserts. In fact, these grey lines attest to the madness that had possessed me to traverse these deserts—along these grey lines and countless more—without knowing why or what for. Nor did I question what compelled me to study Arabic so that I could communicate with the Bedouins without an interpreter and stay alone in their encampments; nor what compelled me to purchase a jeep especially equipped to cross treacherous desert passes, let alone roam by foot for countless kilometres through hostile terrain alone with nomads I’d just happened to meet, all the while snapping hundreds of photographs with three cameras and recording countless cassettes, scribbling observations on heaps of steno pads. a place where life and death are tightly pressed and constantly bumping and scraping against each other. Like flint stones when one strikes the other, they spark fire, energy, passion, and inspiration, not only of ingenious ways to survive, but also of the prophetic powers and poetry found in the Bible; and the full power of life—of being alive! It was in this state of being that the idea for this novel came to me all at once, sort of like love at first sight, conception at first try, when you don’t know what it takes to raise a child. I had no idea then that this child would grow up to sing with the exquisite tension created by two opposing pulls: the striving to attain the mythic dream of the New World—the pursuit of personal happiness in peace; and the longing for the mythic long-ago days when the world was a purer place and underneath everything there was a sacredness. 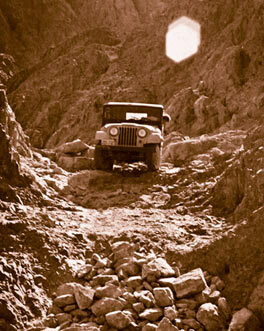 The following photographs were taken during my research work in the desert. 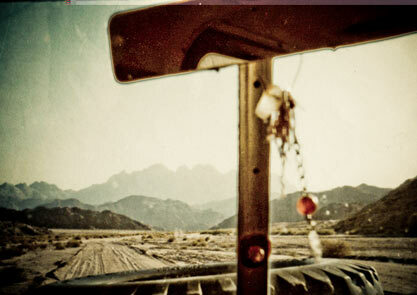 The nomads equipped not only me but also my jeep with amulets to ward off the evil eye of envy (“. . . more graves are dug by the evil envy in men’s hearts . . .” Sulha). Just a glimpse of how narrow and treacherous are some of Sinai’s wadis—so narrow that even the echo of a whisper trembles and amplifies how deep is this particular mountain fissure, which opens to a different geological era. Way up, the sky is a sliver of blue squeezed between two towering walls. The sun has never been here; the cold and dark are as old as time. In the shade, one can see history in the mountain walls—layers and layers of years, decades, centuries, in countless colours and shades. I could touch time here, polished smooth by flood waters at the top. At the bottom, flash floods must have gushed over the centuries with a force that ripped away mountains along the way—boulders too large to clear this narrow passage. I’ve been asked these questions ever since my documentary The Bedouins won the Ohio State Award. Well, to put it bluntly, I was a freelance broadcast journalist at that time, and I figured it would be easier to sell something that nobody else was doing—something that amazed me and troubled me terribly. 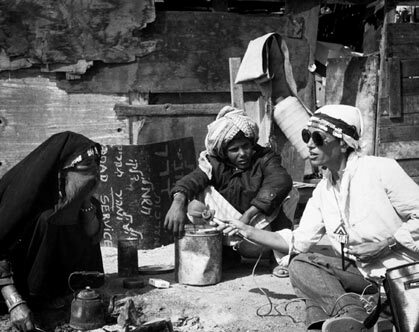 The Bedouins’ Sinai made all the banner headlines at that time, as it was the subject of heated debates at the UN as a trading chip to facilitate a peace between Egypt and Israel. Yet no mention of the Sinai Bedouins’ rights to their Sinai was to be found in those banner headlines, let alone in the UN debates. 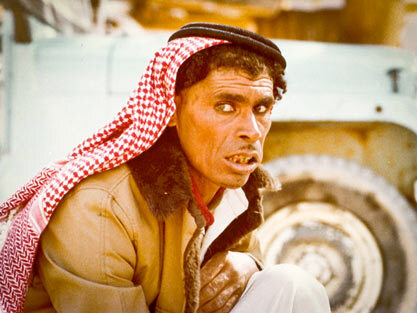 On a practical level, I figured the Bedouins would accept me more than other Arabs, because it’s part of the Bedouins’ way of life to accept guests, all guests, even be they arch-enemies. Hospitality in the desert—at that time—was like the First Commandment. Deeper still, on the deep-seated emotional level that I’d kept secret since my childhood years, I was extremely curious to find how the Arab nomads lived. Of course, I romanticized it as a child, when it was a life-risking danger to cross the divide between my hometown and the neighboring Arab town only a short walk away from my bedroom’s window. Or so it seemed to my child’s eyes. Therefore it was like a child-dream come true when the true Arabs (as the Bedouins refer to themselves) invited me to visit-stay with them. It so moved me that I quit my work, left my children, my husband, my parents, and my home to accept the Bedouins’ dream invitation. Little did I know that after living in Bedouin encampments for months, I’d return home—and what a culture shock that was! I couldn’t adjust even to sitting on a chair. I sat—lived, really—in front of the fireplace in my home. Members of my family were alarmed when they heard my booming voice reduced to a barely audible whisper, as if I were still in a desert that carried even a whisper for miles, and found that there was no persuading me to move from the fireplace in which I cooked and brewed coffee, week after week. I slept by that fire for months. I also started the first draft of Sulha by that same fire. What’s the difference between the Bedouins’ outlook on life, and ours—the so- called Western outlook on life? 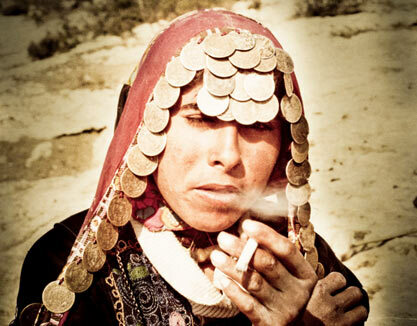 A Bedouin woman has to bend nearly to the ground when she smokes so that her veil will pull away from her face just far enough to allow her to smoke without burning it. Her hands reveal that she is not “a lazy woman”, as the Bedouin women referred to me when they saw and felt how lean were my hands and how soft their skin – all too easily get slivers and blisters from carrying out chores that a Bedouin girl-child could do daily, like collecting firewood or hauling a rope from the bottom of a well with a pail half full. I stayed and roamed with five different Bedouin clans in the course of my research in which not even one member knew how to read or write. Yet living with them restored for me the meaning and dignity of words and terms that had been hackneyed to drivel. The full measure of the words “drought”, “patience” and “generosity” came to life when I saw this Badawia, above, drawing water with a tin cup from a spring that yielded half a drop a minute in that seventh year of drought. This particular spring was the only water source for her family and her stranger-guest, as well as for visiting members of her clan. 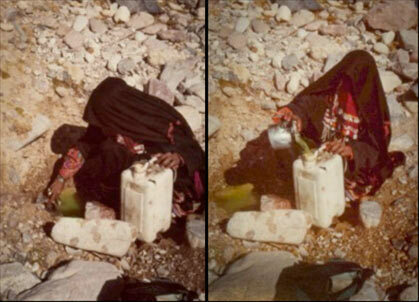 It took her hours upon hours to fill her water jerrycans, then hours upon hours to carry them to her “kitchen”. And if a parched nomad happened on her way, she’d share her precious drops to quench his thirst. 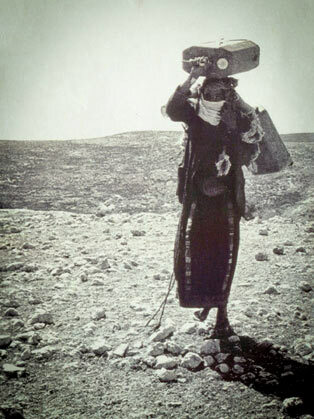 The water conduit was invariably a Badawia—a Bedouin woman—like this one, transporting heavy jerrycans full of water for kilometers over rugged terrain in bare feet. Her husband as well as her other male kinfolk were the only ones wearing shoes. 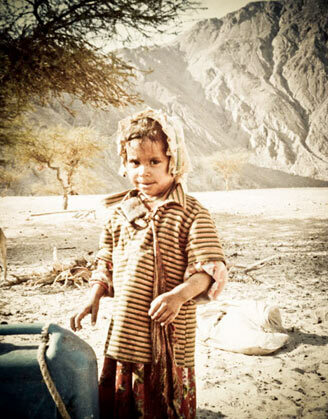 It was from a Bedouin child like this one, and the one crouching in the darkness behind me, that I learned the full meaning of the term “scraping rock bottom”. It was also “women’s work”, as the Bedouins called it, to gather firewood for the fires at the Maq’ad—the men’s guest-receiving-place; as well as goat dung for the cooking-fire at the women’s section of the encampment. 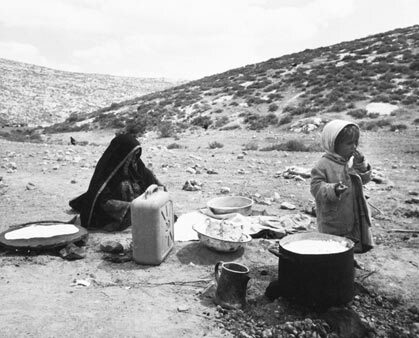 Here, the Bedouin woman, fully veiled, is preparing supper—the one daily meal for most nomads—for which the little one is too hungry to wait. Her kitchen counter is a torn sack spread flat on the hard, sun-baked ground, upon which she has to crouch in order to build and to refuel her stove and oven: her cooking fires—one for the rice, the other for the pitas. The jerrycan at her right and the pail on her left serve as her kitchen sink. Her cooking utensil is a shibriyya—a dagger. Rice is boiled in a chipped enamel pot. Pita is baked over a flat iron disk that looks like the top of a rusty gasoline barrel (and probably is the top of a rusty gasoline barrel). It is impossible to keep dust and sand away from the food because of the ever-blowing desert wind and the ever-meandering goats and saluki dogs. Even at this early age, this girl-child is so disciplined that no matter how thirsty she is, she won’t demand or nag anyone for a drop of water from the jerrycan by her side. Her kinfolk believe that “a boy should not be disciplined as much as a girl, lest he be fearful. A girl should not be indulged as much as a boy, lest she be wilful—overly strong, refusing to do what she is told, talking back, doing things without permission. . . .
A girl, like this one—who is not yet a maiden, else her face would be veiled—is charged with shepherding the goat herds of her father’s wives. Most days she’d lead the herd to a water source not far from her clan’s encampment. But then, as the goats would devour any green blade they could find near the water source and/ or the encampment, the girls are compelled to lead the goat herd a further distance—as far as three days and nights away from their home encampment. A shepherd girl would be alone, or with a cousin, and sometimes with sisters as little as the ones in the following photograph. They’d laugh at me on the few occasions that I accompanied them, because I’d fear we were lost soon after we’d left the water source. It was beyond me how they could find their way—as if a compass had been implanted in them—in a wilderness that had no landmarks whatsoever. (This was before GPS.) 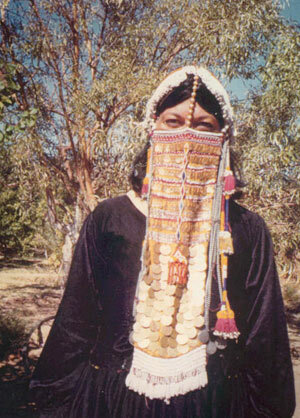 What had been ingrained in them was that the desert—the Bedouins’ desert—was a place safer for a woman than a man. So highly do the Badu value a woman that “one of [their] names for woman is amarat a’beit, meaning the main pole of the tent, the pillar of the house. If a woman is violated, it is as if the house or tent has collapsed. And even in blood-price, a woman is valued more than a man: forty camels for killing a man; one hundred and sixty camels for killing a woman; three hundred and twenty camels for killing a pregnant woman. Girls, even as young as the ones to the left, will start to learn how to tend goats: on the job, by joining a shepherdess not much older than they are, on days when the shepherdess will walk a relatively short distance: two to three hours each way from their encampment. Here she is tending her mother’s goats, alone in the deserted wilderness, enjoying the cool shade offered by the thorn tree, or Acacia. Note the rope hanging on the right side of the tree. It’s with such ropes that the Bedouin women tie and fasten to the treetop their tents after they fold them and before the roam to the next water hole and/or grazing ground. Woe to anyone who stole such a tent, or anything that belonged to the Bedouins, be it tied to a tree of roaming with the goat herd – he or she would be tracked down, even if it would take five generations to catch the thief and avenge this crime. 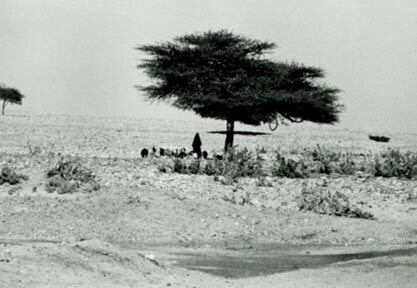 “It is forbidden to cut down trees like this one,” the Bedouins told me, “for they provide shade to shepherdesses and firewood for special-occasions cooking fires. And the fruit provides fodder for the flock. And if you cut down a tree like this one, you will cut down the possibility of ever living here or anywhere trees like this are growing. . . . The thorns that fall from these trees can spike right through your boots, so tread carefully,” they cautioned me, while treading there in their bare feet. 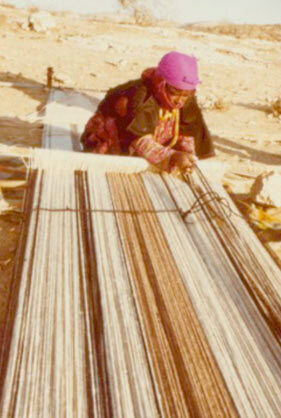 The Bedouin woman below is weaving a “welcome carpet” with long wool threads in the colours of her desert mountains, stretched tight in long neat rows. The rows are secured at each end to spikes she had hammered into the ground, weeks or perhaps months ago. Not one spike has budged, so hard was the ground in this part of the desert. Crouching as she does, so close to the ground, is such back-breaking work that she can’t weave for very long without taking a break to stretch her legs and rub her back. It took her three years to weave her tent, using the black hair of the goats that she and her mother had raised and sheared, spinning it, rolling it onto their runners, and stringing it onto their looms. 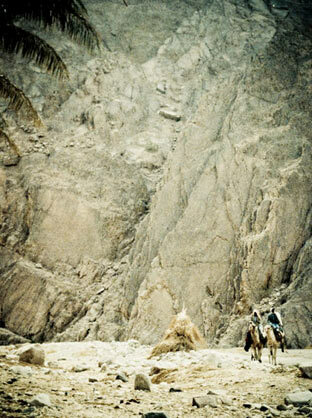 Sinai dwarfs even the most courageous of “camel riders”, as the Bedouins refer to their men. What do the Bedouins consider to be “men’s work”, one wonders, after seeing that most the time, the men just sit and talk and sip tea or coffee at their Maq’ad—the men’s guest-receiving place. At other times, they seem to take off on their camels suddenly and stealthily; disappear for days and nights, only to reappear as suddenly and stealthily as they’d disappeared. This question loomed larger the longer I lived with the nomads and found that their “women’s work” entailed not only the raising and sustaining of their children and the sustaining of the clansmen’s lives, but also the raising and sustaining of the goat herds that “sustain the Badu way of life”; not to mention the weaving of the tents and the “welcome carpets”, and the camels’ saddlebags; as well as drawing water, carrying it, collecting firewood, building fires, cooking, cleaning . 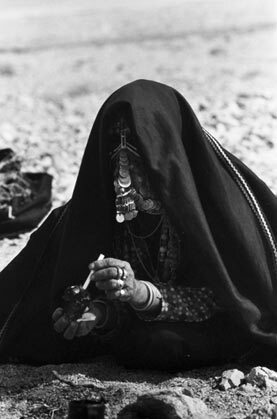 . . doing all of that in full “modest-proper” garb: ankle-length dress over dress, plus an array of shawls and heavy veil regalia, through which I could barely breathe. “Camel riders” were also assigned to the task of fetching basic food provisions, especially when their clan was encamped at a distance of three to four days on camelback to the nearest grocery store. This novel (Sulha) gives voice to the voiceless: to Bedouin nomadic women who share a husband in a polygamous marriage and a way of life that has endured for centuries and kept them not only veiled and out of bounds to all outsiders, but also voiceless. The photograph above was taken at one of the dream spot in the desert: a real oasis, not a mirage. This novel has been called “. . .a splendid hymn to love, dignity, honour and duty.” even though the novel is set in the ever war embroiled Middle East. Were these seeming contradictions reconciled in the novel? Do you find you gained a deeper understanding of the many aspects of the conflict after reading this book? How did your prior knowledge of the Middle East affect your perception of this book? The concept of Sulha – which means in both Hebrew and Arabic: forgiveness, reconciliation, peace– is central in the book. Do you think a complete sulha was accomplished in this novel? Did Leora make peace with her husband’s death, her son’s decision, her current husband, her upbringing, childhood, lover – with the True Arabs, as the Bedouins refer to themselves? Is the “official” reason Leora states for her journey to the Sinai Desert and to The Forbidden Tents the “real” reason? Is Leora’s journey a quest “ to find the woman buried in the rubble of widowhood? Or is she escaping to the desert? Why couldn’t Leora have solved her dilemmas in Canada? What might this tell us about her, Canada, and the immigrants to Canada? If you, like Leora, were obliged by law to decide whether or not to allow your only son to serve high-risk military duty in defense of your nation, what would be your decision? Throughout her stay in the Forbidden Tents, Leora wonders why this Bedouin clan broke their tribal law, which forbids all strangers to enter their women’s tents. What do you believe compelled these Bedouins to invite Leora to stay with them? What compelled Leora to remain with her Bedouin hosts after the rumor was smuggled to her that she might be staying in tents where a father will kill his son and a brother will kill his sister? Why didn’t she, or Tal, Hillel and el Bofessa alert the authorities? Leora is an outsider not only in the remote Bedouin tents, but also in her native Israel and her husband’s native Canada. How do the many layers of her Outsiderdom interact? Consider the differences between observing and noting the action as opposed to participating, engaging in them. By observing, does one become a de facto participant? What should be the position of a modern society concerning tribal cultures living within it? Does society have the right to enforce its modern laws? What about honouring the cultural codes? Where should the line be drawn, if at all? Should the custom of women’s circumcision, for example, be allowed? As well as polygamous marriage or Honour killings? 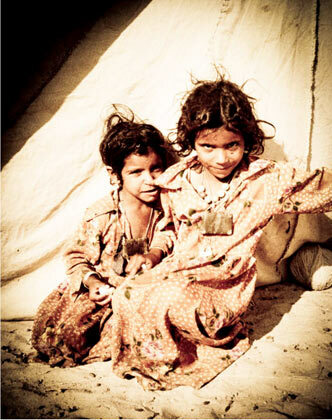 Can you envision a society with a liberal worldview living in seclusion like the Bedouins? Does the very fact that they live so isolated make it necessary to have strict rules of human conduct? Can people be transformed by an experience of the “other” in a way, which sensitizes us to moral differences between cultures and makes us respectful and tolerant of their practices? Clearly, Leora is estranged by the rite of female circumcision among the Bedouin, to give one example, and no measure of her newly acquired respect and tolerance will spare her a sense of cultural and moral distance on this point. Can one maintain both sides of this relationship to the “other” without losing one’s own sense of self, one’s honesty, one’s openness and one’s commitments? Despite their differences, some of the characters in this novel become close friends and confidants. Are these true friendships? How do they influence on one another’s outlook on life? Do any of them truly change their beliefs during the course of this novel? How is Leora a different person at the end of the book than she was at the beginning? Was there any particular point in the book that marked the turn? Sulha was written in a unique style: like the Sinai’s dry river beds, the novel is constructed in circles, and some parts within these circles are narrated in a lyrical poetic style, other in mythic style, and some in a journalistic reporting style. Which sections would you attribute to which of these three styles? Examine the effects of these various styles on the novel, and on your perception of the novel. 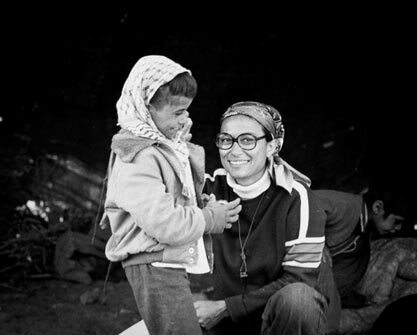 The personal versus the tribal are interwoven in many cases in both the Israeli and Arab-Bedouin societies, as in Leora’s dilemma whether to give her consent to her son, and in the case of Abu Salim’s dilemma over whether to pay for Bride Price with rights to smuggling routes or to water holes. Discuss other places where the personal and tribal are tightly linked, and where they are parallel. What did the war widow Leora and the war hero Tal share in common? What attracted one to each other? What kept their relationship fueled? What do you think happened to them after the novel left them? Discuss the effect of warfare on personal life, belief, morality, conduct, spirit, relationships, love – of mate, child, parent, country. Twenty-two years after her husband was killed Leora still grieves for him. Does it ring true to you? Did you suffer sudden loss? Is the trauma of sudden loss any different in the case of the missing in action, killed in action, or killed in a car accident, or a heart attack? Did Leora betray everything her husband Arik lived and died for when she ‘dropped out’ to Canada? Talk about the theme of betrayal and guilt in this novel. Has everybody in this novel betrayed somebody or some ideal? In his praise of Sulha, Leonard Cohen pointed out that “. . . Crucial human questions, (are) passionately addressed, and answered in a spirit of humanity . . .” do you agree? What specific questions do you think were raised in Sulha? Were they resolved? What questions do you wish Sulha explored? “Silence is a speaker” in this novel, what does it say? After reading this novel, Ann Michaels noted that, “Sulha attempts to reconcile ancient conflicts, the living and the dead, forgetting and forgiving, within the compassion and frailties of its characters . . .” Does it apply to the conflict between Awaad’s clan and their Sheik? Do you agree or disagree with the Sheik that the conflict in the Middle East is sparked not only by the dispute over land and water and religion but by the concept of time: modern Vs. ancient, and authority: male hierarchal Vs. democracy?